Pleomorphic lipoma and spindle cell lipoma are now considered to represent the same benign lipomatous tumor given the overlapping clinical, histologic, immunohistochemical and cytogenetic features. They should not be confused with atypical lipoma/atypical lipomatous tumor/well-differentiated liposarcoma. 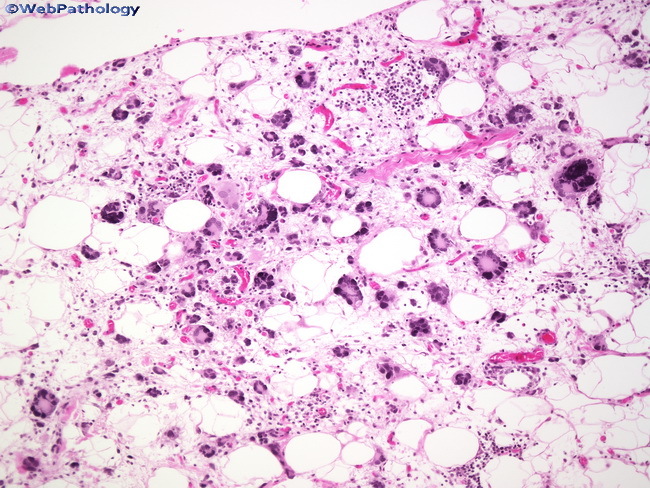 The image shows a pleomorphic lipoma with several multinucleated floret-like giant cells in a myxoid stroma.